Less than 2 hours from Cape Town, Grootbos Private Nature Reserve is a haven for nature lovers and an exceptional spot in the world for Whale watching. Grootbos Private Nature Reserve, Gansbaai is a leading example of sustainable eco-tourism and 5-star luxury in the Western Cape, South Africa. This relaxing and beautiful place overlooks Walker Bay and is surrounded by indigenous Fynbos (shrubs) and forest clad hills. This destination is a wonderful escape or an excellent addition to a Garden Route itinerary. The quality conference centre accommodates up to 60 resident guests. 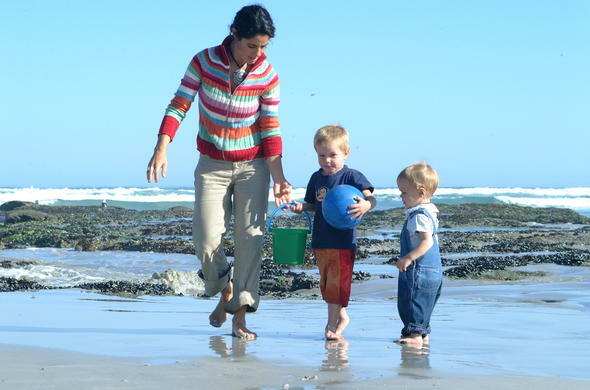 Both local and international travellers have discovered a place of tranquillity at the award-winning Grootbos Private Nature Reserve and are encouraged by the delicate and proactive relationship between man and nature. Guests can stay in classic Garden Lodge, an ideal family getaway set in a lush indigenous surrounding or the Forest Lodge, with its contemporary and modern style appealing to the cosmopolitan traveller. Expert guides introduce guests to the Milkwood Forests and Fynbos of Grootbos on a flower safari with hikes and walks. Guests can stroll through 1000 year old Milkwood trees and visit Afromontane forests, set off on a 4x4 trail or horse ride through the reserve. Birding is also a popular activity. These placid gentle giants, who come very close inshore, gained their names as they were considered the ‘right’ whales to catch. They migrate from the sub-Antarctic to breed and mate in the Cape and arrive anytime from June and then leave again by mid-December. This Western Cape nature reserve in South Africa is set amongst ancient Milkwood Trees, fynbos and beautiful flowers. Spot South Africa's national flower, the Protea, and awaken to the calls of forest birds.